Drinking from the Fire Hose of Information! Drinking from the Fire Hose of Information or five things to do to improve status reporting. When providing status of a problem it is important to provide the right level of detail, so the situation can be easily digested. A lot of technical team members provide status and it is like trying to get a drink of water from a fire hose. They tend to provide so much technical information the person on the receiving end is totally drenched in information, but thirsty for status. 1. Who are the customers impacted? 2. Have the customers been notified? 3. Have the customers been shown evidence the problem has been resolved? 4. What caused the problem? 5. What steps have been taken to make sure the problem does not reoccur? Tom Kelly is an Industrial Designer for one of the most successful industrial design firms, IDEO. He writes in his book The Art of Innovation, “Your customers may lack the vocabulary to explain what’s wrong and especially what is missing.” Bingo! One has to start to ask the question, “If your customer does not know what he or she wants or cannot articulate what is wanted, then how exactly should the requirements process work?” Kelley writes, “It is common for well-meaning clients to duly inform us what a new product needs to do. They already ‘know’ how people use their products.” His firm does not rely on customers telling them about their problems. His book is full of stories recounting where customers were wrong about problems and possible solutions. His firm has learned to study customers and not rely on what they say. Kelley’s views are not unique, and his views are shared by many other industrial designers. Now if Kelley is right, and customers cannot articulate what they want, and especially what is missing, then how should the requirements process work? Too often software development teams ask customers what do you want. The problem is customers cannot articulate what they want. Customers are unable to describe their own requirements. The whole idea of gathering requirements is just wrong. Jane Goodall studied and learned about gorillas by studying them. She learned a lot from just observing and sometimes being among the gorillas. She utilized a technique known as ethnological study. The best insights come from observation, interviews and informal conversations. If you want to learn about your customer, then you need to go to the jungle. The bottom line is software developers can learn a lot from industrial designers and other researchers. Me, “Wait. I did not ask how long it took, I asked how big. Me, “It is not that hard. Determine the average size and average cost of a few past software projects in function points. This gives you historical dollars per function points. If you determine the number of function points for a new project, then you can easily determine the cost.” The cost is number of function points for your new project x historical cost per function point equals total cost. What Software Component Gets Built First? Abbott: Well Costello, the CIO has given me a promotion, project manager of our new software application. Costello: If you’re the project manager, you must know the order of how the software application will be built? Abbott: I said, What gets built first, Who gets built second, I Don’t Know’s gets built last. Costello: Are you the project manager? Costello: And you don’t know the order of how things are going to get built. Costello: Well then what gets built first? Costello: I mean the components name. Costello: The component that gets built first. Abbott: What is built first!! Costello: I’m asking what is built first. Costello: What’s the component’s name? Costello: Well go ahead and tell me what get’s built first. Costello: Look, you gotta build something first, then second, then third? Costello: When you record your time, what component gets charged? Costello: All I’m trying to find out is the component built first. Costello: Let me try something different, you have three components, what component get’s built last? Abbott: No, what gets built first. Costello: Ok, finish this sentence the last component built is…? Abbott: No what get’s built first. Costello: You know I just don’t give a darn. Abbott: That is the name of our methodology. Costello: What’s the name of your methodology? Abbott: No, what’s built first? Abbott: I don’t give a darn. When a person states that big software projects (over 5,000 function points) are risky or not possible, I think about Charles Lindbergh’s historic solo flight across the Atlantic Ocean. In the early days of aviation pilots had few navigation aids. Pilots relied upon their judgment more than anything else. Often pilots would fly with a map between his legs and this become known as flying by the seat of your pants. Long flights over the Atlantic or Pacific oceans were difficult and some thought impossible. While some aviators like Charles Lindberg were successful, other aviators like Amelia Earhart were lost at sea. In 1927 when Lindberg crossed the Atlantic solo he only had a compass to guide him. The next year there would be thirty attempts to match Lindbergh’s historic achievement and twenty pilots lost their lives. The failure rate of pilots crossing the Atlantic was around seventy percent. Ironically, 70% is the crash rate of large software projects too. 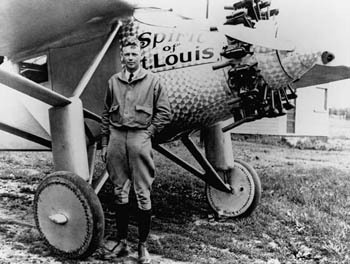 The point I want to make is the success of Lindbergh was due to his heroic abilities. Too many software projects rely on heroic abilities instead of clear navigational guides. The reasons pilots could not fly long distances was not because it was impossible. It was due to the fact that there were not adequate measurements and navigational aids in place. The field of aviation has evolved and now there is a world of measurements. Pilots have the aid of radar, satellites and air traffic controllers to assist them. Pilots flying solo across the Atlantic is relatively common today. As a testament to this Marion R. Hart made seven solo flights across the Atlantic, the last when she was 83 years old. If a software organization is getting ready to embark on a large project they need to bring in project managers that have experience implementing large software projects! They need managers with knowledge of how to implement projects with navigational devices. Theses managers need to know how to implement the necessary navigational aids to make sure the project stays on plan; otherwise, the project is destined to crash!